In addition to the free resources we provide, we highly recommend using Lynda.com. We use it ourselves and find it to be a wonderful source for learning and education on all things tech. You can watch the tutorials at your leisure from your computer, tablet, or mobile device. And at $19.99 per month, it’s an affordable alternative to traditional schooling. Below are the best lynda courses for beginners we’d recommend to an aspiring web designer. Depending on what you’re trying to accomplish, they may not all be necessary, so we’ve included brief explanations to help you pick and choose. 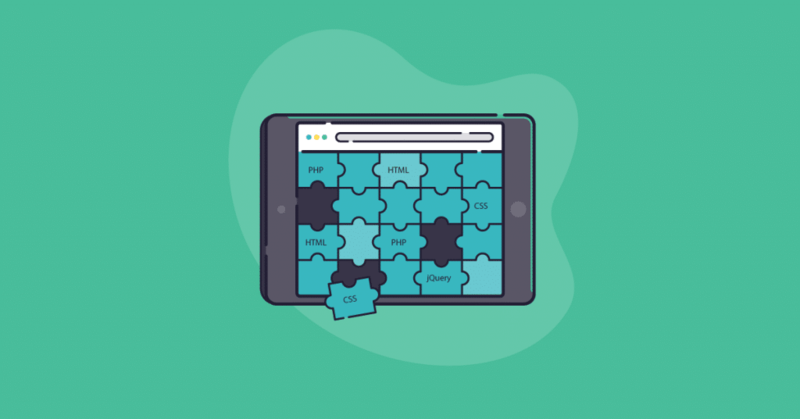 HTML Essential Training – This course demystifies html code. You’ll learn how to format text and lists, add images and links, embed audio and video, and create HTML forms. Photoshop CS6 Essential Training – Learn the ins and outs of Photoshop so you can quickly produce high quality images. WordPress Essentials Training – From setting up a domain and profile to installing plugins and creating custom themes, this course will show you everything you need to know to create a blog or website using WordPress. WordPress: Building Themes from Scratch Using Underscores – If you want to build a custom WordPress theme from scratch this is the course for you. You’ll learn how to build a theme from start to finish. PHP with MySQL Essential Training – Learn the basics of PHP, a popular programming language used to produce data-driven websites. Bootstrap 3 Essential Training – Want to build a mobile-ready website? This course will set you up for success. Analyzing Your Website to Improve SEO – From keywords to code, this course will help you improve your search engine ranking on Yahoo!, Bing and Google. SEO: Link Building in Depth – In this course, you’ll learn how to acquire quality off-page links – the key to successful SEO. If you go through these courses and retain a good amount of the material you’ll have the essential skills to produce dynamic websites. In fact, you’ll be more than equipped for DIY website design. Have you used Lynda.com to learn a new online or business building skill? What did you learn and how was the course? Please comment below. I am really glad you found the post useful. Lynda.com is a wonderful tool for learning technology and I can’t say enough about how much it’s helped me. The web development industry is constantly changing and it’s great to have a place to help keep up with that change. Good stuff. I have been taking lynda courses for over two years. From Web to Print. They have leverage my personal branding, I can be consulted and listened to. I never went to any design school to learn web/graphic untill recent Aug of 2015 where I had to get certified and guess what, I got a distinction all thanks to Lynda.com. That’s awesome!! Glad to hear of another success on Lynda.com!! A very interesting article to read for all web designers.Thanks for sharing this nice piece of information.Good Work.Keep it Up. nice blog with awesome information. it’s very helpful for the web developers. thanks for sharing. Lynda.com is a site I keep going back to. I’ve learned photography, Photoshop, and design using their courses. If you want to educate yourself in Web/graphic design, it’s one of the best sites to use. Thanks Michael. I am glad you enjoyed the article. I should probably update the article since they were acquired by LinkedIn and are now LinkedIn Learning. When time permits I suppose.